Homeowners benefit greatly by improving the functionality and visual appeal of their kitchen. This is where the whole family can prepare meals and enjoy quality time together. Installations are simply a must to add value and increase functionality. At A Splash of Glass, we offer professional installations of glass products in a wide selection of colours and special effects. We use 6mm toughened glass that is painted and installed to high standards by our experienced professionals. The result is a beautiful finish that transforms your kitchen. We pride ourselves on the quality of service we provide. We offer free advice with our quotes and work closely with you from selecting the right colours to having the new panels professionally installed. Our services are competitively priced without any compromises on quality. With an extensive selection of finishes, you can choose the perfect colour that beautifully complements your kitchen. Contact us today for more details or to request a quote. Our team is here to answer any of your questions. Easier to clean: Glass is much easier to wipe down unlike tiles that tend to gather mould and grime. This helps to ensure a more hygienic environment while keeping your kitchen clean at all times. 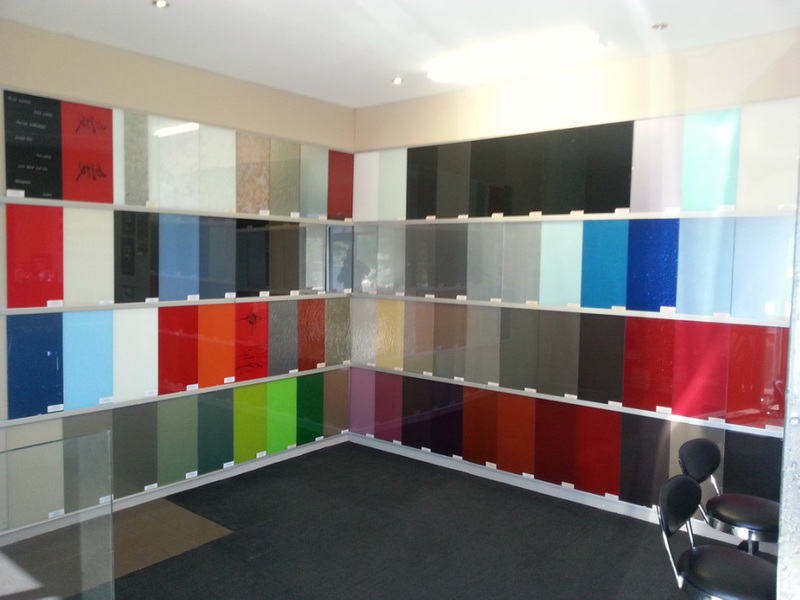 Selection of colours: Glass is available in any colour imaginable to suit your preferences. Custom lettering and digital printing for special effects are also available options. Elegant look: Glass adds an elegant touch that complements the rest of your kitchen and makes the area more visually appealing. The glass also reflects the light brilliantly. Completely customised: The panels are designed and installed according to the exact specifications of your kitchen for a perfect fit. The exceptional finish enhances the value of your home. We understand that every homeowner has specific requirements. With our showroom, customers are able to view large colour samples and speak to one of our friendly staff member for assistance. We can also bring samples to your home to give you a better idea of how our products will look in your kitchen. Once a final decision is made, we get started on cutting the glass to exact specifications. Our professionals will visit your home to perform the installations. We make absolutely no compromises from the quality of glass to the edge work and paint used. We have the experience and knowledge to deliver quality installations that will bring an exceptional finish to your kitchen. Contact us for pricing details. At A Splash of Glass, we pride ourselves on delivering exceptional installations that enhance your kitchen. A wide range of styles and choices are available when you work with us. With over 25 years of experience, we can deliver a cost effective solution that meets your needs. View our photo gallery to look at some of the installations we have done and for an idea of what is possible with your own kitchen or visit our location in Wangara to view a variety of colour samples. Our friendly staff is here to help you find the perfect choice. Colour samples can also be brought to your home upon request. Call us today on 6305 0036 to request additional information for our products and services in Perth. You can also send us an enquiry using our online form and we will respond back shortly. Call 6305 0036 or email us your plans for a prompt response.